Looking for work? Are you using multiple job boards? Tired of searching and keeping track of your job search activity? Interested in temporary or contract roles? Your skills are your greatest asset; let the jobs come to you. Designed specifically for temporary and contract employment, qyiik reviews over 10,000 websites a day capturing all the skills agencies and hiring managers are looking for. 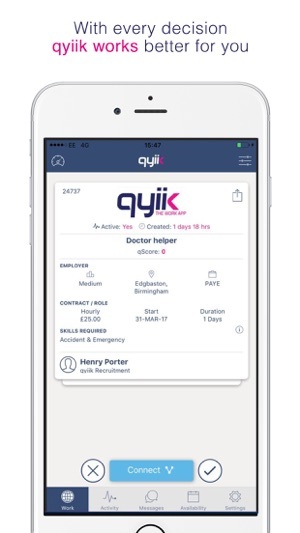 No need to go on-line, qyiik connects you directly with the hiring manager. No more chasing filled roles, qyiik only captures current searches so you only see the good stuff. There’s a qyiik fit for everyone. Whether you are exploring the world of long-term contracts, managing your shifts or looking for some extra work, qyiik is the only tool you need. Every available UK agency and hiring manager can freely search for your skills and availability, giving you access to the best opportunities. •	qyiik is THE ONLY platform to make your skills are freely available to every hiring manager out there. •	No more moving from job site to job site or agency to agency. 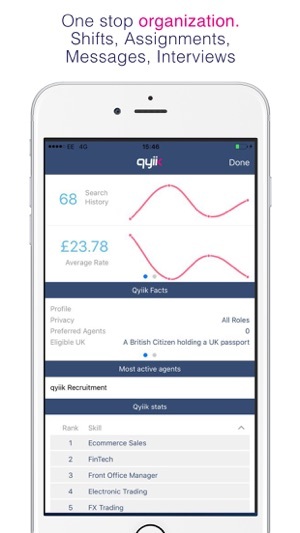 Sign up with qyiik and connect with every single UK agency or hiring manager out there. •	Find today’s jobs, not yesterday’s. We’re not about dusty old “static job ads.” Here at qyiik, it is about what is available right now. •	We’ve built some clever technology that allows every hiring manager to freely search for the skills they need when they need them. 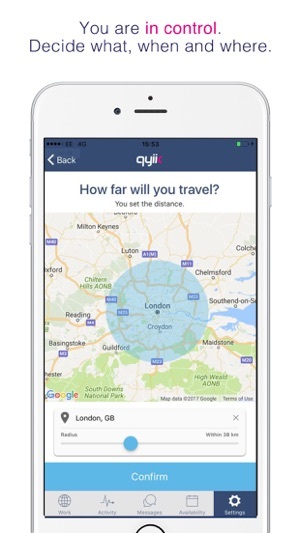 •	As the hiring managers search, qyiik instantly tells you who needs what, where and when. •	Planning shifts or scheduling contracts has never been easier. •	Like and apply for roles, request a chat, arrange interviews, send documents, update your availability and even book your hours. •	Whether you’re exploring the world of long-term contracts or managing your ever-changing shifts, this app is the only tool you need. 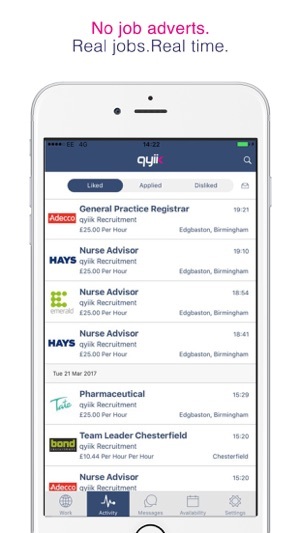 •	Every job you take through qyiik, together with the matching skill set, dates and details, is automatically recorded and added to your profile. •	It’s the only way to make sure your next assignment has the very latest scoop on you. •	Got more work than you know what to do with or maybe you fancy a well-earned break. Hide your profile. •	No more random calls or endless job emails. •	It's time to sit back and relax until you're ready for your next big assignment. The best part … qyiik is free. 4. Connect on jobs that interest you. Not a job advert in site! This is just a qyiik fix!! Most of you didn't realise, Freddie in Southampton did. Well spotted Freddie!! Fix to location coordinates for geo location checkin! Simple to specify the type of required work and then automatic matching to jobs with many agencies. Used today to get work connected with 3 roles straight away. Brilliant! !